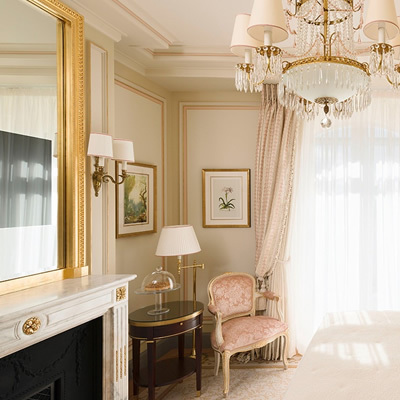 Hotel Ritz Paris, is perhaps one of the most famous hotels in the world. 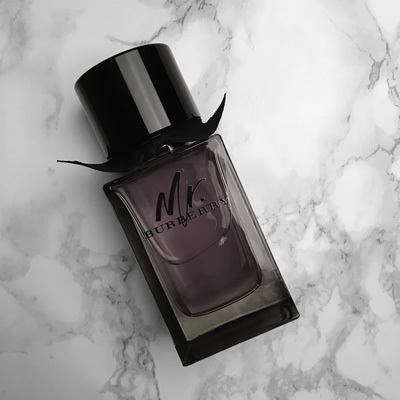 With the address of 15 Place Vendôme, you’d be hard pushed to find a more impressive location for such an iconic brand. We have been long awaiting this hotel’s four year redevelopment, and when the time came we could hardly wait to step inside. Greeted in the most becoming manner by the doorman, we were instantly put at ease that this is still The Ritz we know and love. 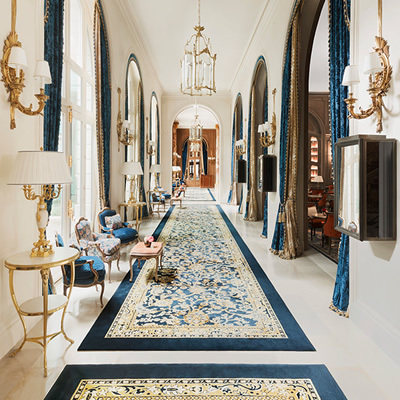 The interior design of this wonderful redevelopment comes from the talented brains of French native Thierry Despont, who can currently be found based in New York. Increasing the ceiling height and introducing mezzanine level windows has allowed for a wonderfully whimsical and romantic mood in the lobby that creates an indoor extension to the delights of the hotel’s location. The vision here, and in fact the vision of the entire redevelopment, is quite astounding. Having visited The Ritz on several occasions previously, it has never been apparent that a redevelopment was necessary. However having experienced the change, it is almost as if it goes beyond the renovation of the building itself and is in fact more of an evolution of the brand itself. 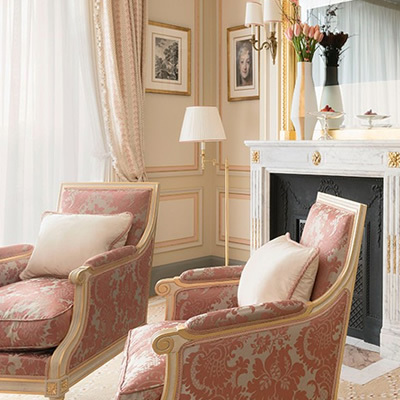 The team have made the change seem so effortlessly obvious, that instead of feeling like a new hotel, somehow Hotel Ritz Paris, now feels more like home than ever before. 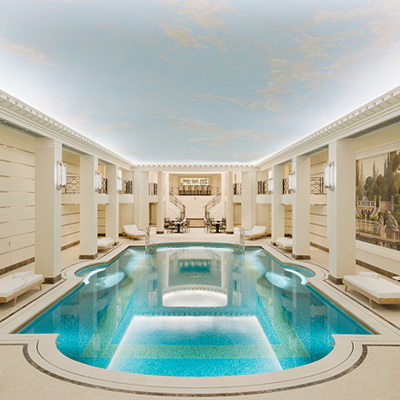 Perhaps it is the subtlety of the modifications that has made the hotel’s transformation seem so fluid; changes such as the reduction of room numbers to allow for bigger bathrooms; the spa now being the world’s first Chanel Spa; the introduction of state-of-the-art facilities of The Ritz Club. None of which are new concepts, but all of which combine to create a whole new experience. During our stay, we experienced an Executive Suite, which is a beautiful room. 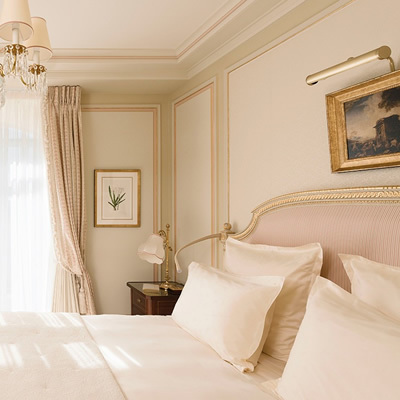 Retaining all of the luxuries you come to expect from Hotel Ritz, the furnishings include glorious, classic artwork, splendidly plush carpets, and satiny bed linen you never want to leave behind. The spacious bedroom leads through to two separate bathrooms, one complete with a gorgeous bathtub that exudes relaxation. The bathrooms are a wonderful feature point, and many an hour can be spent cosied-up in a robe, lounging around the facilities in this room, and enjoying the abundance of luxury toiletries. 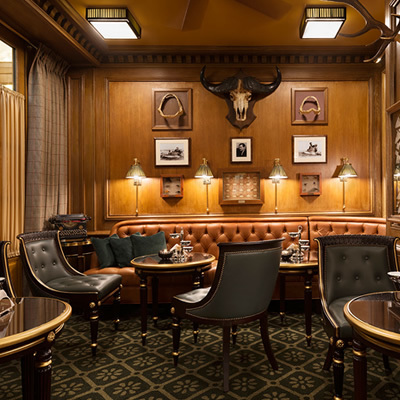 If you can pull yourself away from the joys of your room, the Hemingway Bar is the perfect place for a pre or post-dinner drink. You can while away the time here reading the hand-written original letters from Hemingway to his wife, taking in all the incredible history and stories this hotel holds. The L'espadon restaurant, headed up by chef Nicholas Sale, provides the wondrous fine dining experience once comes to expect from Hotel Ritz. This hotel has always been, and continues to remain, a triumph of hospitality. 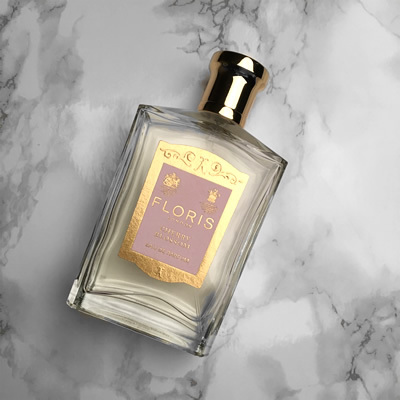 It's essential to ensure you always have the perfect travel companions, this is what we packed in our suitcase for our visit to Hotel Ritz Paris.